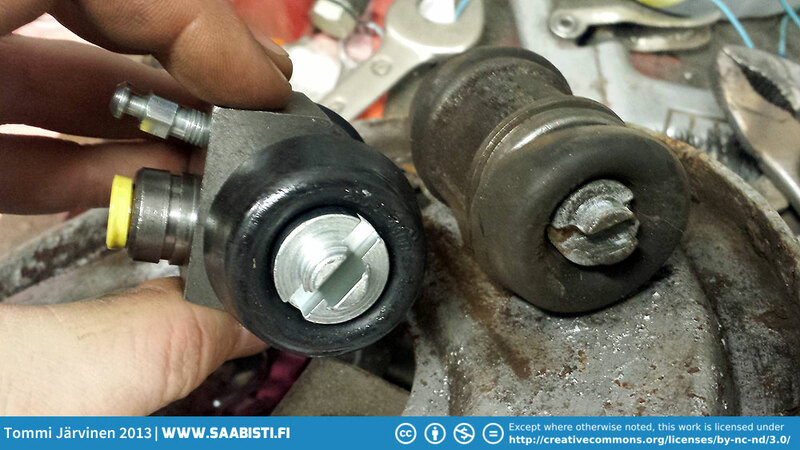 I used the Saab 95 brake cylinders. The pistons are visibly bigger than the 96 ones (on the right). I’m not sure the brake balance is ok with this setup. If it doesn’t work I’ll just switch back to 96 pistons. Next imageVentilation for the front brakes. Cutting the slits.